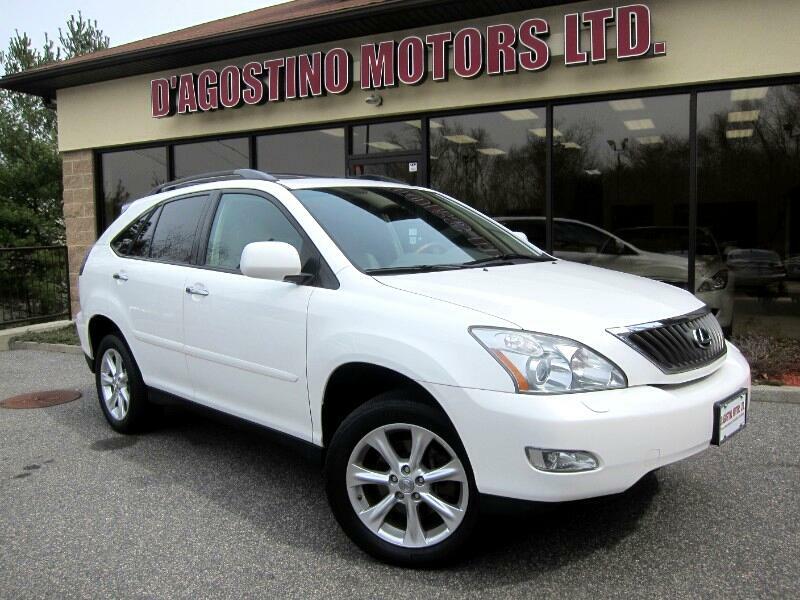 Used 2009 Lexus RX 350 AWD for Sale in Smithfield RI 02917 D'Agostino Motors Ltd.
NEW ARRIVAL !!! THE LEXUS RX IS ONE OF THE MOST DURABLE AND REPUTABLE SUV'S OUT THERE !!! YOU JUST CAN'T BEAT A LEXUS !! !THIS ONE IS A ONE OWNER WITH A CLEAN CARFAX !!! ONLY 75,000 MILES !!! ALL WHEEL DRIVE !!! This One comes with Navigation , Back Up Camera , Bluetooth Phone Connectivity , Power Heated Leather Seats , Multi Function Steering Wheel , Power Rear Hatch , AM/FM CD Power Sunroof , Power Windows , Power Door Locks , Power Mirrors , Ivory Interior w/ Light Golden Birds Eye Maple , Alloy Wheels. Come Experience the D'Agostino Difference! We Go Through our Vehicles with a Fine Tooth Comb from All Mechanical Aspects to an Extensive Reconditioning and Detailing Process, Expect to View the Cleanest Vehicles in New England Guaranteed !! !